1 -) E-Mode Trans the charging time is between 6 to 8 hours. If you charge the battery of your engine in this time range indicator is green. 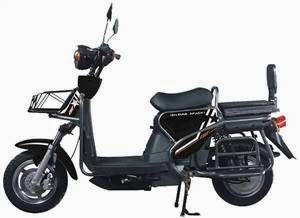 2 -) E-Mode Trans net weight of 113 kg and 150 kg capacity unless otherwise stated. However, we have tested with 170 kg and have received the full performance of the engine. 3 -) E-Mode Trans the range varies according to the operating conditions. For example, on a straight road the only one if you use the 50 - 55 km, on a straight road two people if you use: 45 - 50 miles, hilly roads one person if you use the 40-45 km, and finally hilly road two people if you use a maximum of 40 km of roads operate. With this performance, this model can easily chosen in the city. 4 -) E-Mon Trans overall good levels of speed. This engine is 60 km / h dial's. However, in all circumstances we are up to 45 km / h we can do. 5 -) The engine may prefer a model in each case. No difficulties even on an incline. Even steep slopes can easily quit.